PARIS •(AFP) – The men’s suit was thought to be no longer making the cut among fashionistas. But last week, a most unexpected thing happened on Paris men’s catwalks. In show after show, suits and tailored jackets popped up. “There is the narrative that tailoring is dead, that the tastes of the youth are completely defined by sportswear,” Vogue critic Luke Leitch noted. It was assumed that men no longer wanted to “wear tailoring at work because it is not always that comfortable, and that it’s forever associated with their dads”. “Suddenly everyone is saying, ‘I’m reconsidering tailoring’,” he added. The new converts include the biggest streetwear guru of them all, Louis Vuitton’s Virgil Abloh, who sent rappers out in suits and ties in a star-studded show for his own Off-White label. 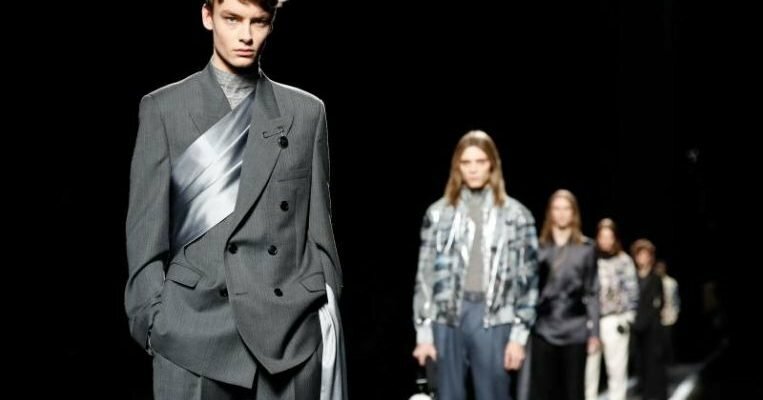 A brace of top designers, from Kim Jones at Dior Homme to Dries Van Noten, Junya Watanabe and Sean Suen, have also put new life in the suit and jacket in Paris. Pop star-oriented Balmain also blinged up the dinner jacket and the classic two-piece. Givenchy dipped a toe into top-end male tailoring. Even avant-garde American Rick Owens, the grand-daddy of the oversized trend, which has seen men swaddled in vast duvet coats in recent seasons, returned to the fitted jacket fold.